Physical or mineral-based sunscreens are those that use titanium dioxide or zinc oxide to reflect or scatter UV radiation before it reaches our skin whileÂ chemical sunscreensÂ use organic absorber to absorb UV rays and invalid the damage of UV achieving a full blockage of a broad spectrum UV rays. You can look up the article for more information to understand the technicalities but how I interpreteÂ thisÂ if it is true is that, mineral sunscreens containing zinc oxide and/or titanium dioxide are more superior.Â So whatÂ has beenÂ said all along thatÂ the larger particles in such sunscreens not reflecting every UV rays for full protection may not hold water afterall because they actually protect on two levels; they reflect and absorb UV radiation! When compared to titanium dixode,Â 1) zinc oxide has a broader UVA spectral absorbance; 2)Â zinc oxide is safer from oxidative free radical production and chemical damage; 3) zinc oxide is not made from a toxic heavy metal and 4) zinc oxide is theÂ safest sunscreen ingredientÂ that is FDA-approved for use on babies younger than 6 months of age. So if the information from Soapwire is correct, then my quest for the best mineral-based sunscreen with zinc oxide for truly broad spectrum UVA and UVB protection is on track! Previous Post: « Want lesser wrinkles? Eat more berries! so, it’s better to get zinc oxide products than titanium oxide? 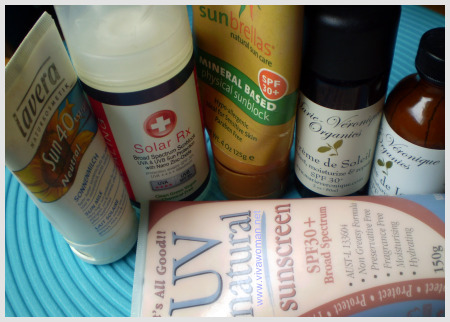 akiki: Yes, based on most materials I’ve read, zinc oxide is said to be the most effective sunscreen protectant. But you also need to take note of the percentage. Good ones use as high as 20% while some other formulations have zinc oxide, but very low like below 5%! So they make up by using a combination of other ingredients. It’s great to have a sunscreen with a combo of both. That is what most derms recommend I believe. m: Yes, unfortunately so…and with the ozone layer depleting, it becomes even more of an imperative. 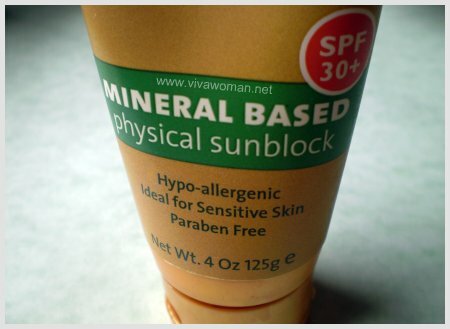 Can I know what sunblock is it in the photo? It seems like a good choice. Bisoctrizole is superior to both ZnO and TiO2. And is the only ingredient which falls in both categories. Get up-to-date for crying out loud, bisoctrizole is marketed for almost a decade! Namee: Oh you mean Tinsorb M? Did you not noticed that it’s not even listed on the monograph? It maybe approved in EU but ‘s not yet approved by FDA. And it certainly isn’t popular from where I am. There are few sunscreens with this ingredient for crying out loud! 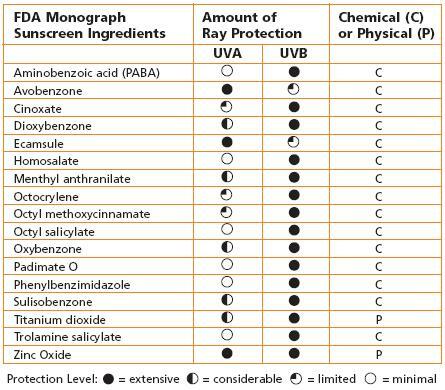 Mineral sunscreen has great edge over the chemical one. Becuase chemical sunscreen causes more side effects results in some other skin diseases. Well, that’s what has been said in general although no one seems to be absolutely sure of the complete story. Yeah, it’s Tinosorb M. Relying solely on the FDA sunscreen monograph is plain stupid. They are behind on the rest of the world when it comes to sunscreens. FYI bisoctrizole is not only approved in the EU. The point is that it is available. Namee: Unfortunately, FDA is huge when it comes to determining what becomes available in the market. I’m from Asia. While we don’t rely on FDA but so far in my country, I’ve only seen one sunscreen with Tinsorb M and that’s from Avene. It costs quite a bit and I’ve been hesistant to try for that reason. Eurcerin has one too but it’s not here yet. In addition, Tinsorb M sunscreens are in between – both chemical and physical – certainly a bit confusing for me to decide cos I’m trying to avoid chemical where possible. But yes, I did learn that they’re very photostable. But do you know which is better – Mexoryl XL & SX sunscreens or those with Tinsorb M? I tried Mexoryl sunscreens and did like them although they’re chemical based. If you had to spend a lot of time swimming and being in the sun, would still go for Anthelios (chemical-based) or mineral-based? I would rather go for mineral-based. But the problem is, it’s a hassle having to re-apply on more than one kid every hour. Badgers can protect up to 40 minutes only. Tks for answering! Vi: I don’t have a Badger or I would use that because the zinc oxide content is very high. 40 minutes is okay. You need to re-apply constantly to get protection. So for me, based on the sunscreens I have, I would use the Anthelios XL because it is water resistant and can offer high protection. Although my preference is mineral-based sunscreens which I use daily, but I do use chemical-based ones occasionally. Blue Lizard claims that it’s proven to offer 240 minutes of protection and is very water resistant. 6%-10% zinc oxide. It’s very hard to re-apply Badger every 40 minutes for kids when they’re in the water for a few hours. Of course the protection Blue Lizard offers is lower than Badger. Vi: Oh, I can see why it’s difficult to re-apply with the kids. It’ll be hard to pull them out of the pool to towel them dry for that purpose! Correction. Blue Lizard has 10% zinc oxide. Badger has 20%. Another alternative I’m considering is La Roche which protects up to 2 hours. Vi: I have never tried Blue Lizard because I can’t get it here. But I hear good things about it though. For La Roche, I’m not sure about the 2 hours claim. 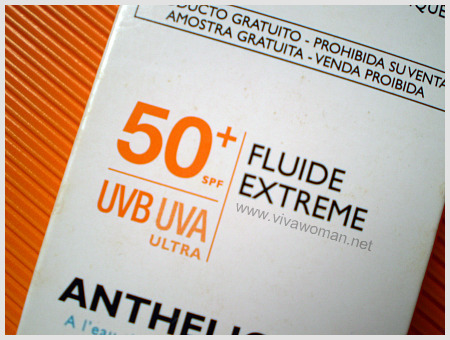 I still try to reapply as frequently as possible under the hot sun (and for me, it can be every half an hour!) However for my kid, I stick to using mineral-based sunscreen. Hi, thanks for responding! I think I’ll get Blue Lizard for my kids for swimming (since am going to Australia). Have been using Lavera SPF 30 spray for kids. Quite good except for the whitish cast – very obvious. But about to finish so I might try Badger. For myself, I’m using Kawaii Sun Survivor SPF 50+ which is supposedly chemical-free. It has a nice feel to it and very slight whitish cast that’s not noticeable. But am going to get La Roche sunscreen stick for more sensitive areas like eyes and lips and perhaps La Roche Anthelios or just poach from my kids. Do you know if it’s safe to put mineral-based sunscreen in the under-eye area? Vi: Kawaii Sun Survivor? Sounds interesting. Using sunscreen on the undereye area should be fine for a short period of time. The only problem I can see is that it could be too rich for that area of skin but I don’t think it can cause too much harm if used for a short period. Just don’t apply too much. Im confused about the SPF to use. I have a SPF 70 lotion; will that be enough for the whole day? favcolorblue: No SPF can last you the whole day; you need to reapply every two hours or even shorter intervals especially if you’re under the hot sun. 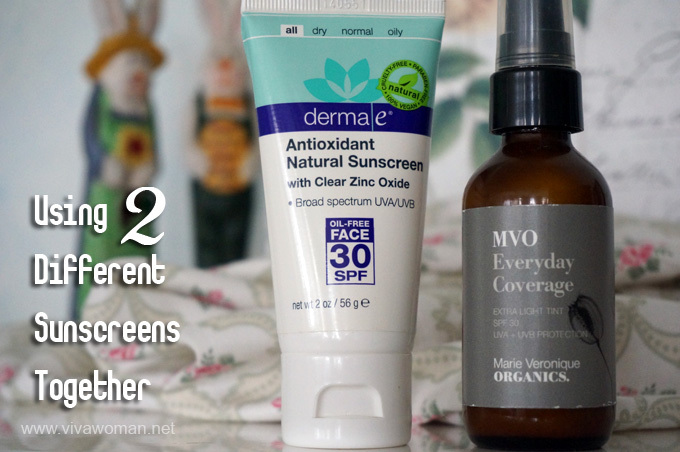 Do you find it not so good for the skin (esp with makeup on) if you keep reapplying suncreen? Also, between La Roche and Marie Veronique, which is better for 1) adult combination skin and 2) kids? Reapplying means we tend to load our skin with more of the ingredients; some of which may cause our skin to breakout. So it can be a problem with the sunsreen is heavy. Cannot compare La Roche Posay and Marie Veronique because one is chemical and the other is natural, physical sunblock. Having said that, I suspect La Roche Posay might be more photostable though and I would use it for sports activities. Marie Veronique contains natural ingredients and could be more suitable for kids but not sure if they’ll like the smell though.